Abu Dhabi: The UAE Consulate General in Kerala has started issuing employment visas to some categories of prospective Indian employees coming to the UAE under a newly introduced system, a senior official told Gulf News on Monday. The prospective domestic help and blue-collar workers can directly collect the employment visa from the consulate by submitting a reference number they received from the employer in the UAE, Jamal Hussain Al Zaabi, UAE Consul-General at Thiruvananthapuram, said on phone from there. The employer gets the reference number from the UAE immigration authorities once the employment visa for the Indian employee is ready, he said. Earlier the employer received the visa on behalf of the employee. 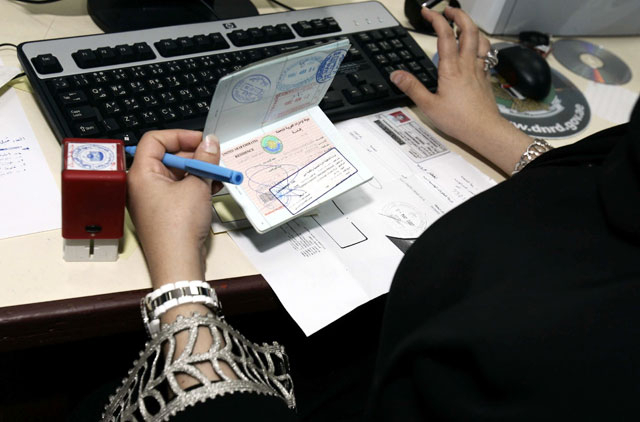 The employer used to send a copy of the visa to the employee and submit the original visa at the UAE airport from where the employee collected it upon arrival. “The new visa system is applicable to domestic help and blue-collar workers only in the first phase. This aims to stop visa fraud and related cheating of prospective workers,” Al Zaabi explained. The prospective employees have to visit the consulate in person and produce their original passport and job-related documents to collect the visa from the consulate, he said. Asked whether a representative of the worker can collect the visa by producing the worker’s original passport, he said it was not possible. Al Zaabi said the consulate started issuing visas under the new system on November 9, which was also implemented in the UAE Embassy in New Delhi. The Consulate General in Mumbai is also expected to implement the new system in the near future. The Consulate General in Thiruvananthapuram caters to five South Indian states — Kerala, Tamil Nadu, Karnataka, Telangana and Andhra Pradesh. The perspective domestic workers and blue-collar workers from these states have to collect their visa from the consulate, the official said. He clarified that employment visas to all other categories of Indian employees are directly issued from the UAE as earlier. Al Zaabi said the UAE had implemented a similar mechanism for workers from Indonesia and Sri Lanka.